However, when the stand arrived, I went to attach it to my new monitor and realized, I’m gonna need my moto-tool (Dremel, rotary tool, whatever you want to call it). 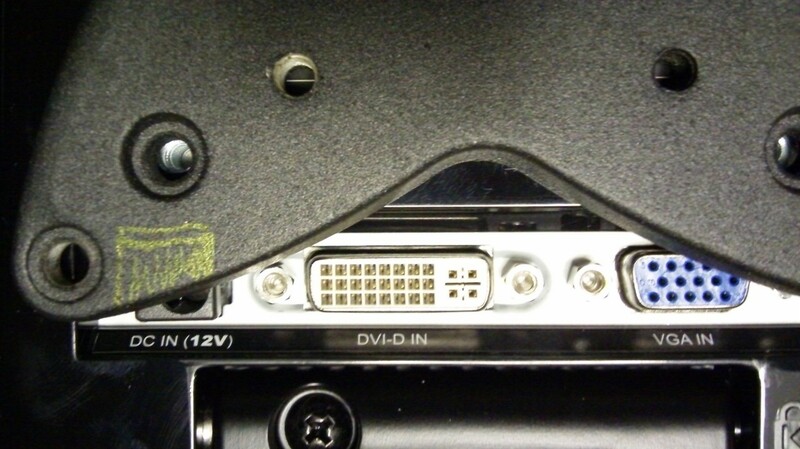 The 100mm mount points, the ones I don’t need, interfere with the power connection and the VGA in, and I may also need to trim the area on the top left of the DVI-D connection. So much for standards. I guess neither Mag nor monoprice is to blame, but if I had to assign blame, it would be on VESA, because although they have all sorts of lovely specifications on distances and spacing and patterns, they don’t include clearance rules for the rest of the panel.